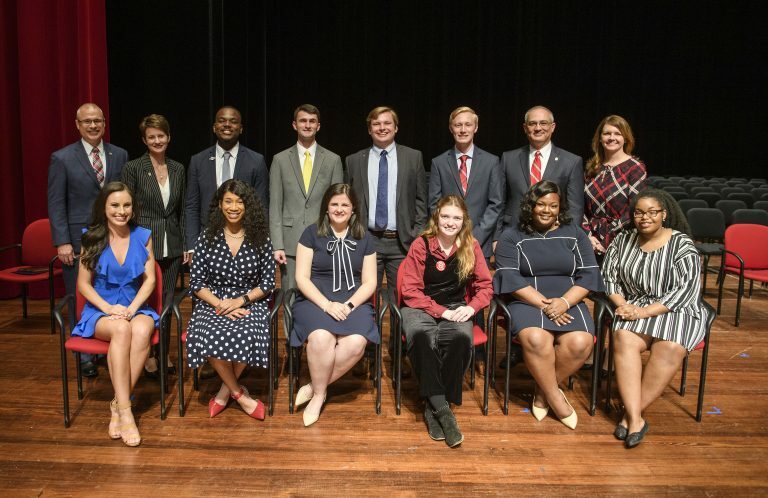 Ten seniors were inducted into the UM Hall of Fame on the evening of April 5 in a ceremony at the Gertrude C. Ford Center for the Performing Arts. 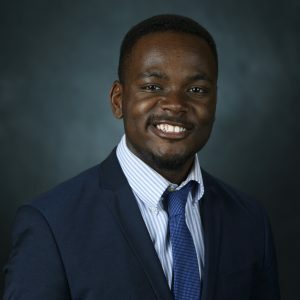 Among them was Croft Senior, Jarvis Benson, who will be graduating this May from Croft with a concentration in Social and Cultural Identity and a Spanish major. 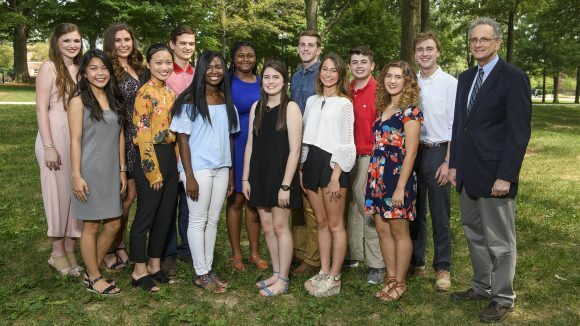 Being inducted into the Hall of Fame is one of the highest awards that an Ole Miss student can receive and "selections are based on outstanding contributions in all aspects of campus life." In addition to being a Croft student and a member of the Sally McDonnell Barksdale Honors College, Jarvis has served as President of the Black Student Union, as an Associated Student Body senator, mentor for the Mississippi Outreach for the Scholastic Talent, and an orientation leader. Jarvis is an extremely dedicated and involved student on the UM campus, in the Croft and Honors College communities, and as a global citizen! Beginning at the end of March, Ashleen Williams will be hosting several scholarship workshops to help students with their applications. The workshops will include working to craft personal statements, choosing recommenders, and developing competitive resumes. These workshops are open to any students interested in applying to national scholarships. All workshops are currently scheduled to take place in the SMBHC. If you have questions, please email Ashleen Williams. As part of the Croft Institute’s ongoing efforts to connect current students with our amazing network of alumni, the institute began a series of video talks by Croft alumni hosted in the building’s Gerald M. Abdalla Boardroom. The “Alumni Talks” series has proven to be popular amongst students, who come to each session equipped with plenty of questions about how to find a career after college, and how to use their experience with Croft to make the most of their options. The Alumni Talks allow for interaction between Croft alumni and students to be more regular and easier to coordinate by using Croft’s new video-conferencing system. 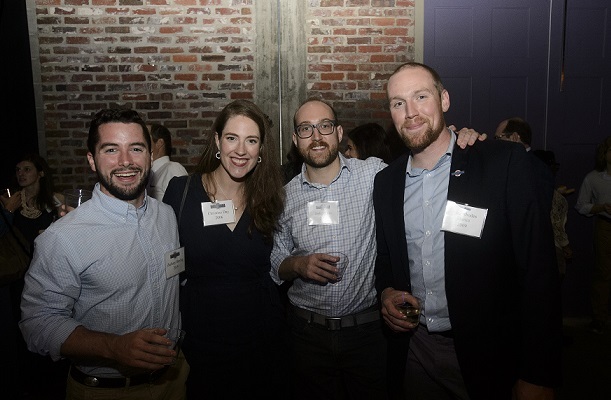 The Croft Institute celebrated its 20th anniversary this past October, with members of all 16 graduating cohorts joining current students for commemorative events in the Croft building, as well as refreshments and entertainment at the Powerhouse downtown. The Alumni Talks series will continue with Cody LeBlanc (’13) on Friday, February 22. If you are a Croft alumnus and would like to get involved with the Alumni Talks series -or in any other capacity- please contact Croft’s Coordinator for Alumni Relations, Ms. Bree Starnes (bstarnes@olemiss.edu). Croft Associate Professor of History Dr. Joshua Howard has been selected to be a Residential Fellow at the School of Historical Studies at the Institute for Advanced Studies in Princeton, New Jersey. While there, Dr. Howard, will work on a project entitled "New China Daily: Social Change and the Class Project in Wartime Nationalist China." This will be the first study of the Chinese Communist press and its relationship to social change and labor during the Second Sino-Japanese War (1937-1945) and postwar labor movement. Broadening our perspective beyond a history of military conflict and political and institutional change, he argues that the Anti-Japanese War induced social change and working-class formation in Nationalist China’s cities, which was both reflected and facilitated by the New China Daily (Xinhua ribao).